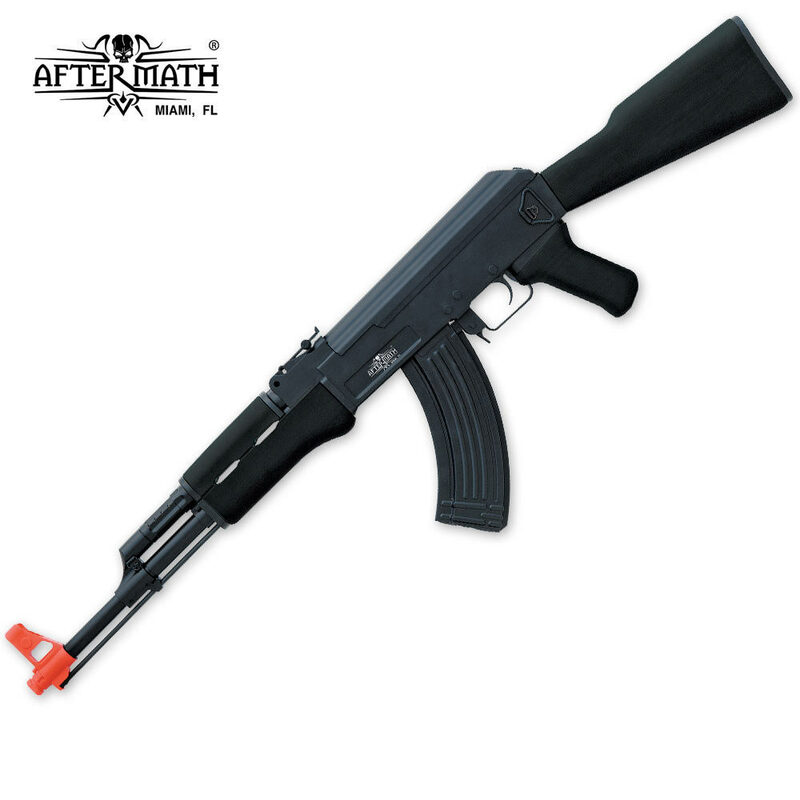 42 1/4" x 12 3/4" x 3 3/4"
Authentic look and a heavy-duty construction are characteristics for this dependable and classic AEG Air soft rifle. Equipped with a metal upper receiver and gearbox, this rifle is durable for the toughest conditions. A high capacity magazine (600 rds.) is standard. Blast ammo at a velocity of 430 fps with this high quality air rifle! Other features that this tactical assault air rifle offers are full and semi-auto action and an adjustable rear sight. 42 1/4 in. x 12 3/4 in. x 3 3/4 in. Great gun I got it and went right to shooting.